For now, there is peace on the ice. Harp seals are currently "off limits" to sealers, as the Department of Fisheries and Oceans has temporarily closed the hunt to allow the mothers to give birth and nurse their whitecoat pups. But sealers will soon take to the icy waters and the hunt will once again resume. The Canadian government has sanctioned the slaughter of 400,000 harp seals to be clubbed or shot to death this year. We know the commercial seal hunt is inhumane. IFAW has spent decades on the ice, watching and documenting the horrors that occur there. Numerous welfare studies show that it is impossible to consistently slaughter seals humanely during commercial seal hunts. Further, the Government of Canada has shown it is incapable of adequately monitoring the hunt or enforcing the regulations. This year we want to draw attention to an aspect of the hunt that most Canadians find appalling: the shocking and unprecedented amount of waste. Many Canadians (and politicians) believe - mistakenly - that when seals are killed in Canada's commercial seal hunt, the entire animal is used. In reality, nothing could be further from the truth. Despite a policy of "encouraging full utilization" the Canadian government's own figures show that a shocking 90 percent of seals are killed only for their fur. 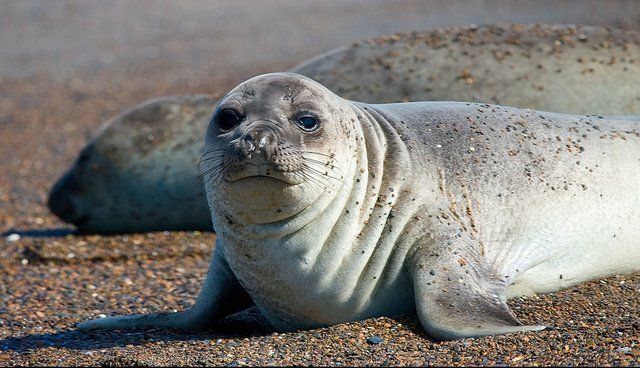 So what's all the fuss about seal meat we hear? True, there is a small domestic market for seal meat in Newfoundland and Labrador, but it has never been popular across Canada or elsewhere in the world. Such waste is unheard of in other hunts, and it's illegal to waste any edible part of other hunted marine mammals, such as cetaceans or walrus. Why isn't it illegal to waste the meat of a seal? For 20 years the Canadian government has provided subsidies to the sealing industry, and millions of dollars of investment into trying to market seal meat both at home and in China. There can only be one conclusion: efforts to market seal meat have failed. Shockingly, the Canadian government appears to be attempting to hide this information from the public. Canada's commercial seal hunt remains a cruel, unnecessary hunt for fur to make such luxuries as seal fur sneakers, handbags, and iPad covers. It has little to do with food. Thanks to your support, the hunt is at one of its lowest points in history. We have successfully closed markets for seal products in the European Union and Russia, and are working to ensure markets for seal products do not emerge anywhere else in the world. It's time to end Canada's commercial seal hunt once and for all.